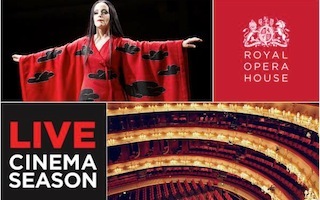 The Royal Opera House’s Turandot, starring Lise Lindstrom in the title role, will be live-broadcast to cinemas worldwide as part of September 17’s performance, directed by Andrei Serban and conducted by Henrik Nánási. Making her debut with the company in this production, Lindstrom has earned further acclaim for her much-lauded portrayal of Puccini’s final heroine. The Independent dubbed the American soprano “absolutely one to watch,” while The Guardian raved “Lindstrom seizes attention with the first notes of In Questa Reggia and then never lets go.” The September 17 performance also marks the 100th Turandot of the American soprano’s career. To check local broadcast times and venues, click here.